We usually stop our main curriculum and choose different topics to focus on during the summer or at least use slightly different curriculum. In this way, my kids still get practice and reinforcement but we all feel like we get a break from our usual curriculum line-up. This summer will include a move so I’m planning on lots of field trips and off-days to allow us to get settled and familiar with our new area. But I do have a few things planned for the summer. Spectrum math workbooks – My 3 oldest kids will each work through a math workbook to practice their math skills and remember their facts. Vocabulit – Tiger and Curly will work on vocabulary workbooks with me. Apologia What We Believe – We will read through a short section of one of the worldview books each day. Beast Academy – Curly will work on the rest of the grade 3 materials. Ten Boys/Ten Girls – I will use these as read alouds for my big kids. President Books – We will read one of these each week and talk about the different presidents. We may even start memorizing the list of presidents in order. Notgrass History – Tiger and Curly will listen in to a section or two each day as we talk about American history. Artistic Pursuits and Atelier – Hopefully we can do some art projects once we are settled into our new house. Little Pilgrim’s Progress – Continuing our yearly summer tradition, we will read this book together as a family. We might do a few science kits together and I plan to have the kids practice their typing skills on the computer. Of course, we’ll continue to read lots of great books each day! Do you have summer school plans? 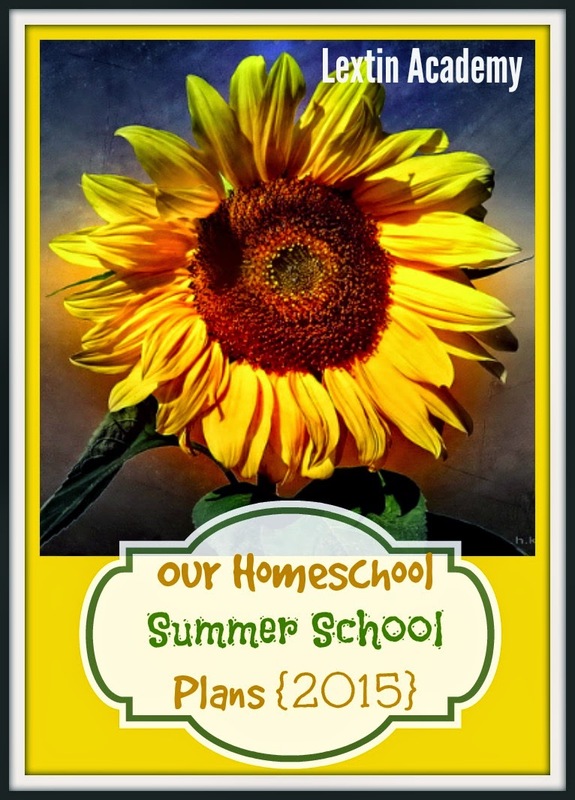 Thanks for linking up with us on last week's Hip Homeschool Hop! It seems like quite a few homeschoolers I know are in the middle of moving or are about to move! I hope it goes well for you. My family, like yours, continues to do some homeschool work over the summer, but we do take it a little easier than we do during the traditional school year. Have a great summer!